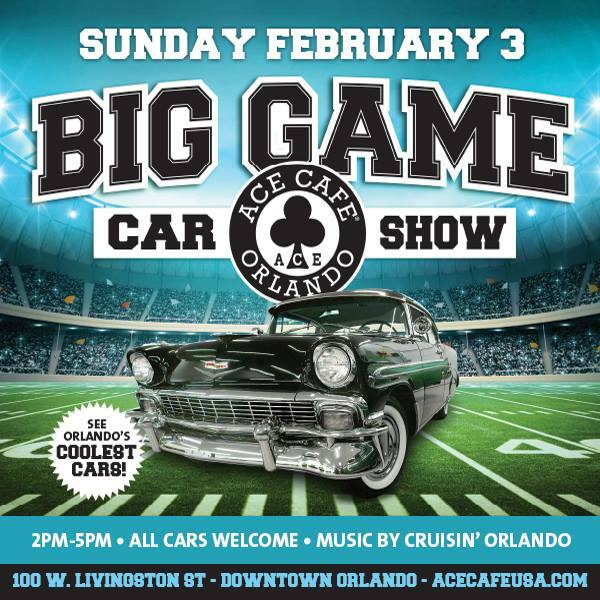 WHAT: Show off your favorite team gear in your best ride at Ace Cafe during the Ace’s Big Game Car Show. No advance registration nor entry fee is required, and all years, makes and models are welcome. Music provided by Cruisin’ Orlando. Stick around for the Big Game Watch Party at 6pm. For $59.95 per adult (age 21+), enjoy an all-you-can eat buffet and unlimited domestic beers, house wines and well drinks. The buffet includes beef empanadas, pulled pork sliders, tater tots, buffalo wings, BBQ chicken sliders, nacho station and many more Ace faves. 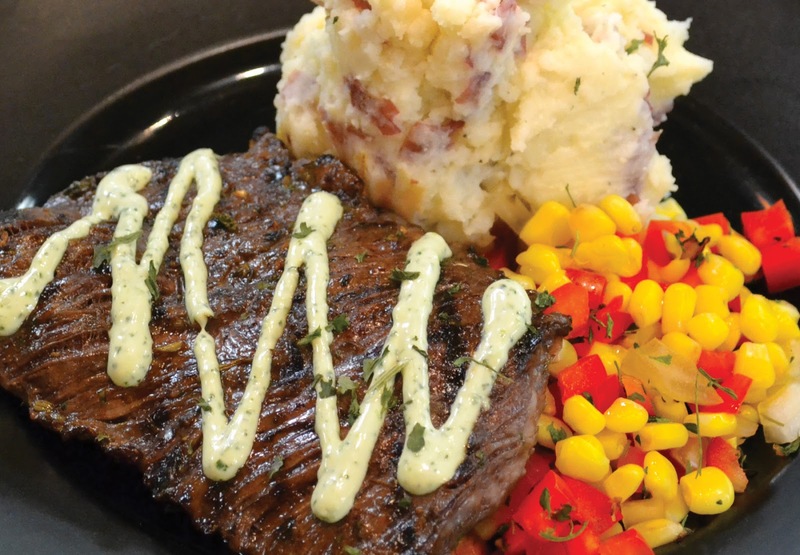 For only $29.95, event-goers can enjoy the unlimited buffet without alcohol. The Ace’s regular menu will also be available for all ages. Watch the Super Bowl on the Ace’s giant TV screen and more than 20 TVs located on property. 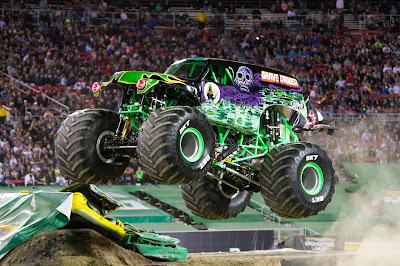 ORLANDO, Fla. – January 8, 2019 – Four of the show’s biggest stars, the giant monster trucks from Monster Jam®, will be on display in Orlando on Thursday, January 17. 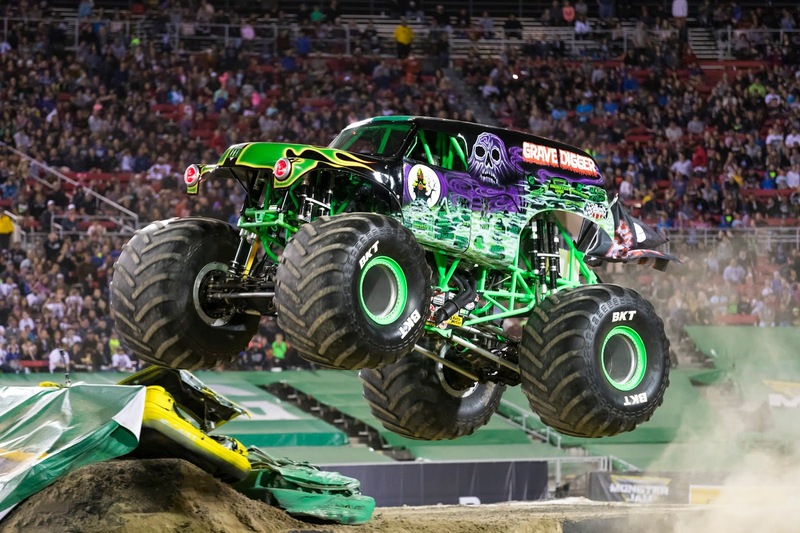 For fans, it's a chance to see and take pictures with the enormous trucks before these beasts roar into Camping World Stadium on Saturday, January 19. Even better, the truck appearances are free to the public. 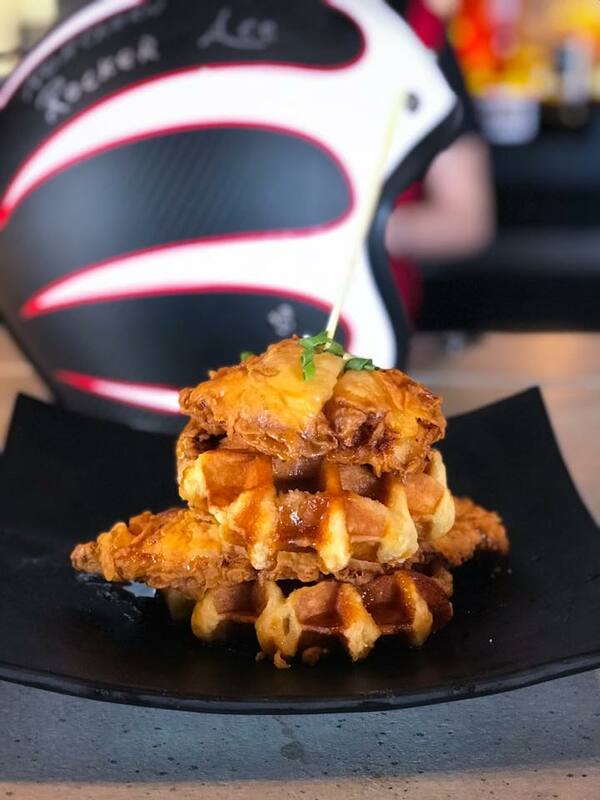 ORLANDO, Fla. (Nov. 27, 2018) – More than a year after its debut in downtown Orlando, Ace Cafe Orlando, the first North American location of the celebrated London motor-diner, will introduce a dozen new menu items to its American diner fare with a twist offerings on November 20, including five new entrees, three new salads, and a handful of new kickstarters, sides and desserts that compliment authentic British favorites already offered. Joining the restaurant’s delectable and affordable menu are a Po’ Boy sandwich, Chicken Alfredo, Chicken Tender Platter, Chicken & Waffles, Classic Burger Sliders, Chicken Taco Salad, Sesame Chicken Salad, and Cobb Salad. Rounding out the new menu offerings are a Fried Mozzarella starter and sides including Sweet Potato Tots and Onion Rings. New desserts include a Giant Chocolate Chip Cookie and Peanut Butter Pie. “We’re all about connecting great food and dining with motoring and live entertainment, so this evolution of our menu is just another step towards ensuring we provide a unique experience found nowhere else in the U.S.A. After all, we’ve been a part of this community for over a year now and felt it is the right time to add a few new favorites,” said Jimmy Forster, director of operations. Join the fun at Ace Cafe Orlando following the Veterans Day Parade for its Veterans Day Celebration, honoring those who served. Enjoy free draft beer for veterans, vendors galore, military vehicle display, bike ride-in with Orlando Harley Davidson, bounce house for kids, food and drink specials, and live entertainment. Co-hosted by the Florida Association of Veteran Owned Businesses and Ace Cafe Orlando, a portion of proceeds from the event will support veteran owned businesses. The popular biennial gathering of vintage micro cars, mini cars and vintage scooters will take place at the Ace on Saturday, November 17th. 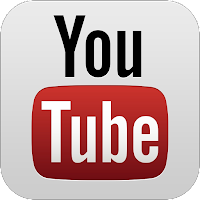 Celebrity guest, Dennis Gage of the My Classic Car TV show, will be filming an episode for the 2019 season and Santa Claus will be on hand for photo opportunities and to collect unwrapped toys for underprivileged children. Enjoy motorcycles, stunt shows, vendors, giveaways, food, drinks, and more with hosts DoItWithDan, Shadetree Surgeon, DankWheelie, Photogromer, John Maxwell, and Blockhead for #FLMM2018 on Saturday, November 17th. 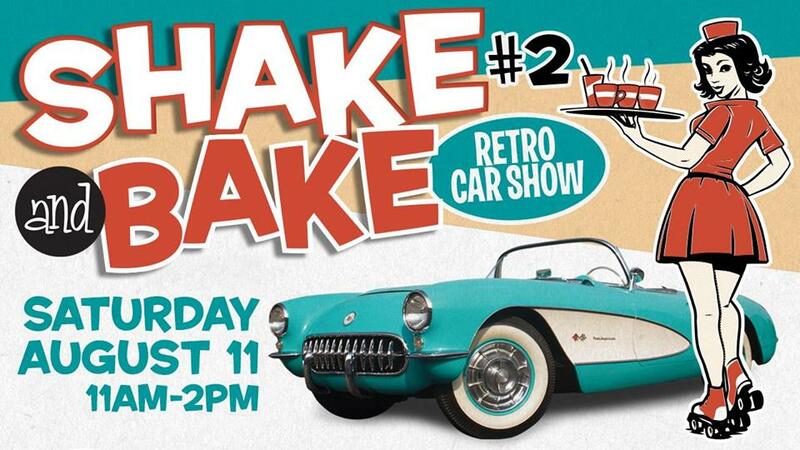 Join Ace Cafe Orlando on Saturday, August 11th for the Second Annual Shake and Bake Retro Car Show. The Orlando Roller Derby girls will be skating around passing out samples of a special spiked iced coffee in flavors, Cinnamon Toast Crunch, Mudslide and Irish Cream (also available in non-alcoholic versions). There will be giveaways and prizes for the most impressive rides, and a live DJ playing a mix of favorite tunes from the 50s! This is an event for the whole family! 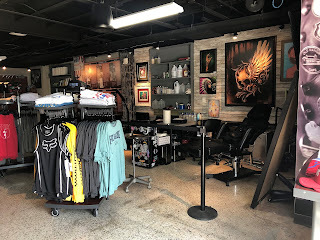 Motocross legend Carey Hart’s famous tattoo shop Hart & Huntington Tattoo Co.
ORLANDO, Fla. – Ace Cafe Orlando is now hosting 1,054-square-foot pop-up shops within its 32,000-square-foot complex. The first pop-up tenant is Hart & Huntington Tattoo Co., the tattoo shop founded by motocross legend Carey Hart, which is now open and plans to operate out of the Ace until renovations to its permanent location in South Orlando are complete. ORLANDO, Fla. – Ace Cafe Orlando has lined up a week chock full of events to celebrate its first year of operations in The City Beautiful. The “Ace-iversary” kicks off on Monday, May 14 with a GM & Corvette meet, and culminates on Saturday, May 19 with an all-day party featuring live entertainment, a car and bike show, giveaways, food and drinks specials, food drive and more. All events and entertainment, including Saturday’s performance by local favorite Beautiful Bastards are free admission and open to the public. 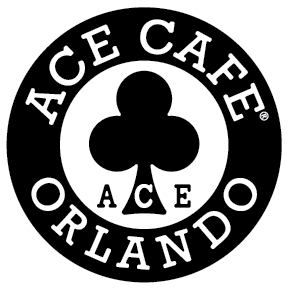 The first North America location of the celebrated London-based cafe, Ace Cafe Orlando made its world debut on May 19, 2017 after an award-winning renovation of three historic downtown buildings. 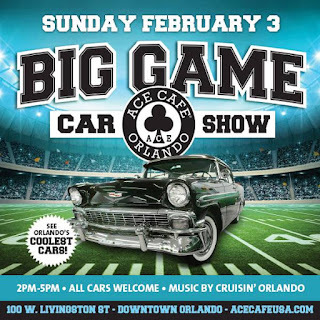 The Ace’s distinctive brand of dining and entertainment continues to bring together those with a passion for cars, motorcycles, rock n’ roll, good times, and good friends. 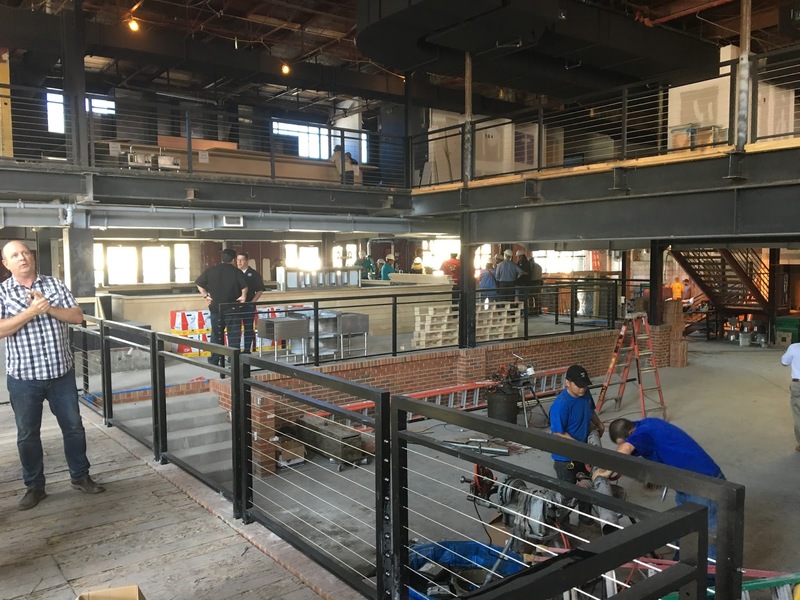 The three-acre dining, entertainment and retail complex features a full-service restaurant, two kitchens, four bars, a coffee bar and a communal counter. Entertainment includes live music; retail stores such as a Dainese D-Store, offering Italy’s most famous high-tech riding gear and accessories; Stonebridge Motorgallery, selling original motorsports and rock ‘n’ roll artwork; and private and semi-private spaces for groups large and small. Celebrate Mom at Ace Cafe Orlando! Ace celebrates moms with minivans this Mother's Day (SUVs moms, mustang moms, biker moms, or whatever the swagger wagon) with one complimentary entree (brunch, lunch or dinner) on May 13th for mom. Reservation required to receive the offer! Call 407.996.MOTO (6686) or make reservations online. The whole family will love Ace's signature a la carte Mother’s Day Brunch - creme brulee french toast, chicken & waffles, eggs benny plus a special steak & eggs (8oz top sirloin with two eggs and hash browns). In addition to the popular bottomless mimosas Ace is also offering bottomless bellinis for Mother's Day. All brunch orders come with unlimited trips to the "Grab 'n Go" buffet stocked with muffins, yogurt parfaits, fruits and more. Lunch menu kicks in at 11 a.m. The Ford Mustang was released on April 17, 1964, and Ace Cafe is throwing a birthday party to celebrate this iconic American brand. At this free-admission event, guest can explore a car park full of Mustangs from nearly every year since release on display, and enjoy complimentary birthday cake (while supplies last). Tuesday, April 17, 5-8 p.m. Ace Cafe Orlando Director of Operations Jimmy Forster and Director of Sales and Events Billy Singleton accept an “Award of Excellence” from Downtown Orlando Partnership President Maritza Martinez and Thomas C. Chatmon Jr., Executive Director of the Downtown Development Board and Community Redevelopment Agency, during the Downtown Orlando Partnership’s 29th annual Golden Brick Awards luncheon held on March 30th, 2018. Pictured from left to right: Martinez, Forster, Singleton and Chatmon. 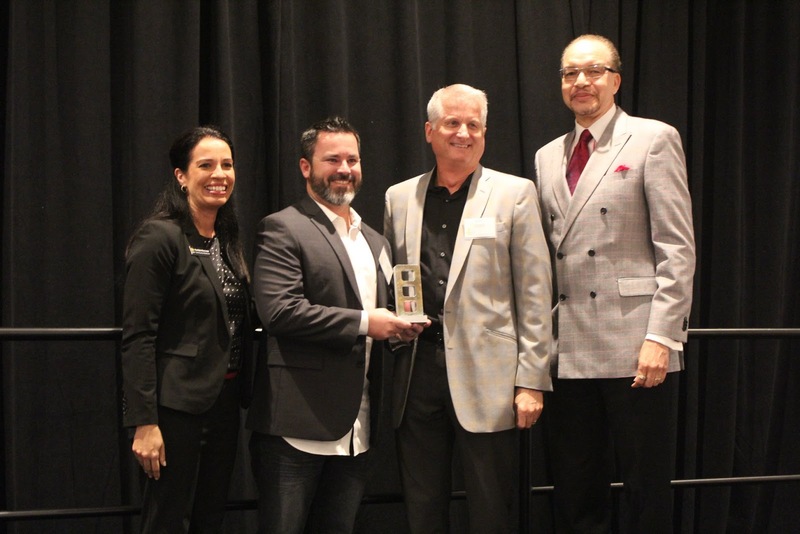 ORLANDO, FL – April 12, 2018 – Ace Cafe Orlando earned an “Award of Excellence” from the Downtown Orlando Partnership during its 29th annual Golden Brick Awards luncheon held on March 30, 2018. The Ace was among 35 community and development projects recognized for positively impacting Downtown Orlando in 2017. Ace Cafe Orlando, the first North American location of the celebrated London motor-diner, is located within three of downtown Orlando’s most historic buildings. Great care was taken by the Ace’s leadership to renovate and refurbish the 100 year old buildings, once home to Harry P. Leu’s supply company -- preserving the structures’ authenticity and repurposing its original materials (for example, tables inside the Ace are made from the wood and heavy timbers reclaimed from the barn on the property). The organization’s flagship North American operation officially opened to the public on May 19, 2017 after undergoing an extensive renovation over three years. Here’s “egg-tastic” news for adults: hundreds of eggs will be spilling out of the trunk of a car parked in the lobby of the restaurant’s 32,000 square foot space. Every guest can dive for an egg to see what they’ve won. 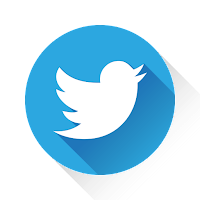 One lucky person will win FREE ACE CAFE FOR A YEAR! Other prizes include Dinner for two, Free appetizer, Drink tickets, $10 gift certificates, Ace t-shirts and more! One egg per person. Eggs are first-come, first serve. When they’re gone, they’re gone! Oh, and there’ll also be candy filled eggs for the young (or just young at heart)! 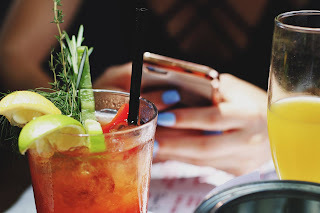 Easter Brunch at the Ace is a la carte and features fan favorites including Chicken & Waffles, Morning Meatloaf and Crème Brulee French Toast, and Eggs Benny, plus an Easter special Steak and Eggs (8oz top sirloin with two eggs and hash browns). Don’t forget the bottomless Mimosas and Bloody Marys. All brunch orders come with unlimited trips to the “Grab ‘n Go” buffet stocked with muffins, yogurt parfaits, fruits & more. Lunch menus kick in starting at 11 a.m. Reservations recommended. 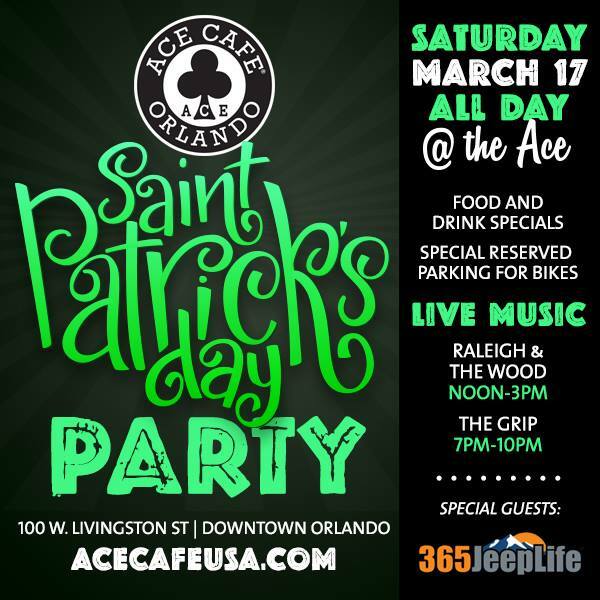 Celebrate St. Paddy’s Day at Ace Cafe! Grab your gear, wear a bit o’ green, and ride into the Ace in honor of St. Paddy! Mingle with your fellow bike, and car enthusiasts and check out the rides on display, including special guests 365 Jeep Life. Enjoy food and drink specials, live music and more. Reserved parking for bikes going to and from Daytona during Bike Week 2018. Free admission event. 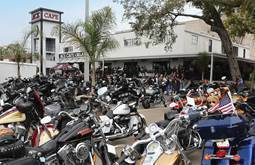 For bike enthusiasts, attending Bike Week (March 9-18) is a “ride” of passage. Ace Cafe Orlando is a must-see stop on the journey to and from one of the nation’s largest celebrations dedicated to the moto industry. Can’t make it up to Daytona? Party in your own back yard: Ace Cafe Orlando has heart-stopping action, food, beverages, music and much more to make Bike Week 2018 unforgettable. 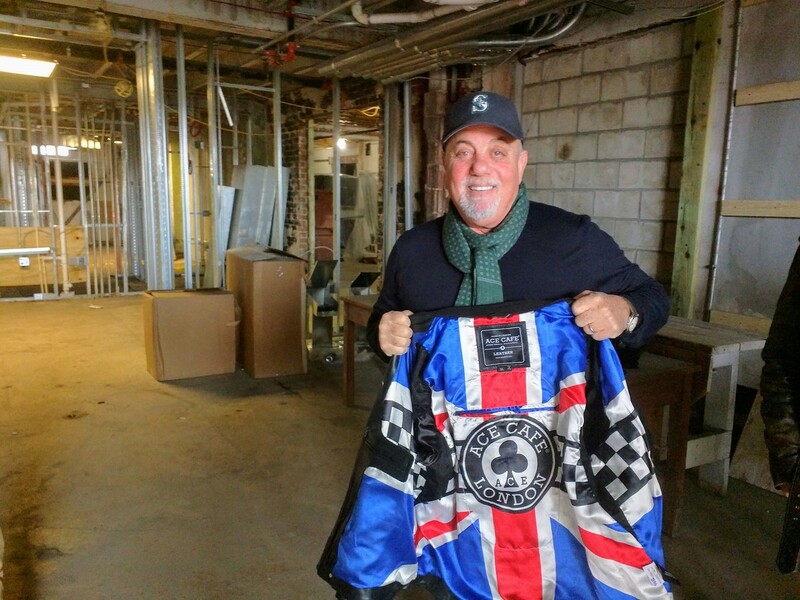 ORLANDO, FL – Ace Cafe Orlando, the first North American outpost of the celebrated London-based motor-diner, is rolling toward its scheduled spring 2017 opening in Central Florida. Construction workers are in high gear completing the 35,000-square-foot motor-centric dining, entertainment, and retail destination, reinvigorating a key parcel in downtown Orlando and bringing more than 175 new jobs to the local economy. The Ace expects to draw over 400,000 people to downtown annually. ORLANDO, Fla. — February 2, 2017 — Combining motorcycle functionality with fashion-forward designs – in conjunction with the opening of the first North American location – the iconic Ace Cafe announces the launch of a full lineup of leather jackets for both men and women. Classic, functional, and comfortable, these leathers pay homage to the famous London-based motor-diner, which has served as a beacon to motorcyclists and rockers alike for decades. In fact, it was at Ace Cafe London where “ton-up boys -- and girls” hugely influenced the cafe racer culture. For generations, Ace Cafe London has been the gathering place for those passionate about the rock ’n’ roll culture and a love of fast-moving metal. Fueling motorists since 1938 – two wheels, four wheels, frankly anything with an engine – Ace Cafe has been there from the beginning and continues to lead the way. “The Ace Cafe has become a global cultural phenomenon over the course of its 79-year history,” explains Mark McKee, chief gear head of Ace North America. “Leather is a key part of the motorcycle story, so we’re bringing six new leather jacket styles to market here in North America in conjunction with the opening of our first U.S. location." Named after the historic neighborhood just off the A4 motorway in London, where "doing the ton" – racing a jukebox record at speeds topping 100 mph -- helped to create the cafe racer movement. The Hammersmith jacket is the hallmark – and the first release – of the Ace Cafe Leather Collection. Blending the best features of a traditional naval pea coat with a classic motorcycle jacket, the Hammersmith is made from full-weight, 1.2mm drum-dyed top grain cowhide. A riding jacket first, the cafe racer-positioned sleeves are rotated 15 degrees forward at the shoulder, the dropped back offers full coverage for all riding positions, and armor-friendly pockets are incorporated at the joints and back. Zip-up collars offer full wind protection when doing “the ton”. The Hammersmith’s Union Jack lining even offers zippered access so that wearers can personalize the jacket with their own unique combination of patches, pins, and studs. The Hammersmith is available in sizes S, M, L, XL and XXL, and retails for $649.95 (includes a three-year warranty). 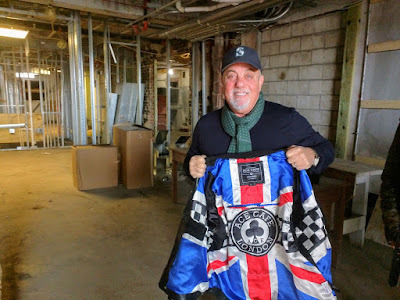 The full line of men and women's leather jackets and Ace Cafe casual wear is available exclusively at Ace Cafe’s online shop, Rockers Speed Shop, at https://store.acecafeusa.com. Ace Cafe Orlando is scheduled to open in spring 2017 on a three-acre parcel in downtown Orlando. Ace Cafe is the most famous motor-diner on the planet. 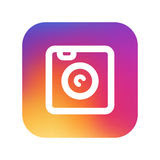 Ace Cafe North America holds the exclusive licensee rights in North America and South America for this world-famous brand. Born in London in 1938, Ace Cafe celebrates the spirit, history and culture of motorcycling, cars and rock ‘n roll, and continues to influence almost everything that has a rebel attitude -- generations of kids on motorbikes, cool cars, an entire genre and style of motorcycling, the thrill of speed, the beginning of rock ‘n roll, leather jackets, and renegade fashion. Ace Cafe Orlando, is the first North American venue for Ace Cafe, is a full-service restaurant and bar, a cafe, a live music and special event venue, a motor-inspired art gallery and a number of retail shops, covering three acres in downtown Orlando at the corner of West Livingston Street and Garland Avenue. Scheduled to debut in spring 2017, Ace Cafe welcomes all who share the passion and traditions of motorcycles, cars and rock ‘n roll. 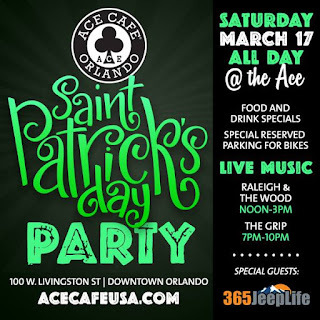 For more information, visit www.acecafeusa.com, and connect on Facebook and Twitter @AceCafeUSA, Instagram @acecafeorlando_official. 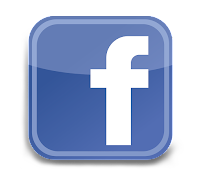 ORLANDO, Fla. – January 18, 2017 – Looking for a gig? 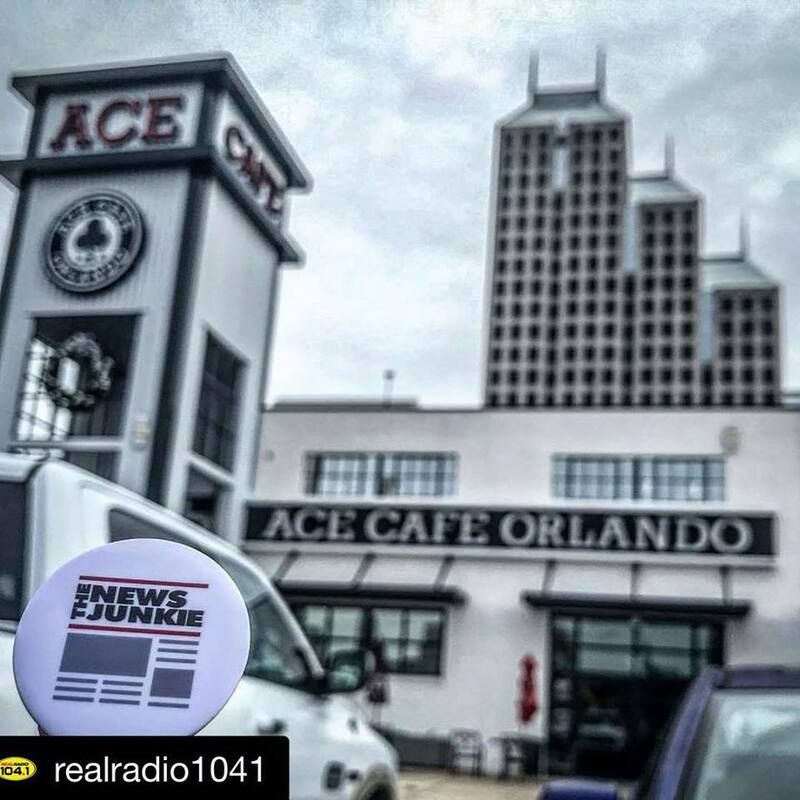 Ace Cafe Orlando, the first outpost of the iconic London, England-based motor-diner, is bringing 175 new jobs to Central Florida and will host a job fair later this month. A beacon to English motorcyclists for decades, the Ace Cafe has become a global cultural phenomenon, and is about to bring that same love of speed and adrenaline to downtown Orlando in the form of Ace Cafe Orlando. Currently under construction inside three historic buildings on a three acre parcel located at the corner of West Livingston Street and Garland Avenue, Ace Cafe Orlando is on track for a scheduled opening this spring.